John Paul Lederach's work in the field of conciliation and mediation is internationally recognized. As founding Director of the Conflict Transformation Program and Institute of Peacebuilding at Eastern Mennonite University, he has provided consultation and direct mediation in a range of situations from the Miskito/Sandinista conflict in Nicaragua to Somalia, Northern Ireland, the Basque Country, and the Philippines. 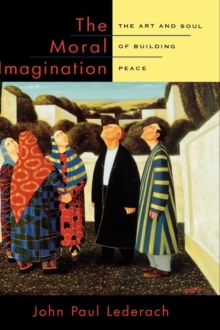 His influential 1997 book Building Peacehas become a classic in the discipline. This new book represents his thinking and learning over the past several years. He explores the evolution of his understanding of peacebuilding by reflecting on his own experiences in the field. Peacebuilding, in his view, is both a learned skill and an art. Finding thisart, he says, requires a worldview shift.